Dani Barretto and Xavi Panlilio’s prenup photos are here, and you’ll love just how chill but elegant they look together. Dani’s tangerine dress complements Xavi’s geometric-printed shirt, giving us a low-key take on couple dressing. 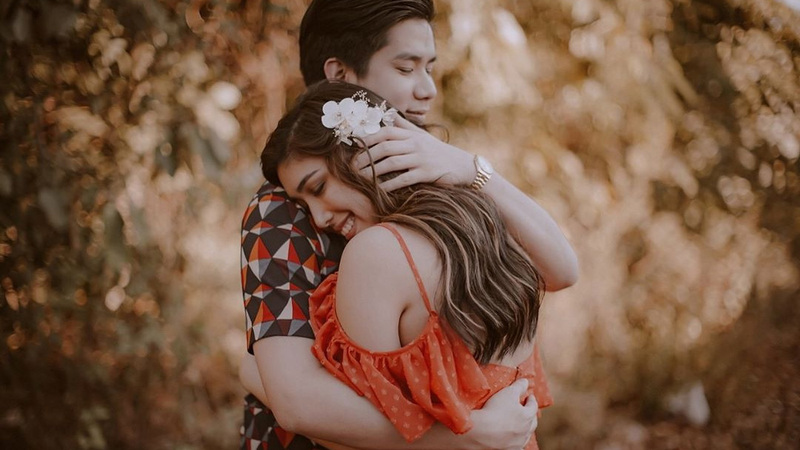 The couple, who was going for a rustic banquet vibe, had the shoot at Timmy in the Woods, a villa that’s also a performance and event space in Antipolo. According to Bela, the pair met in La Union in 2017. "I need to tell you all now that I was tipsy and didn't know [Dani and Xavi] were talking near the bar of the resort we were in."